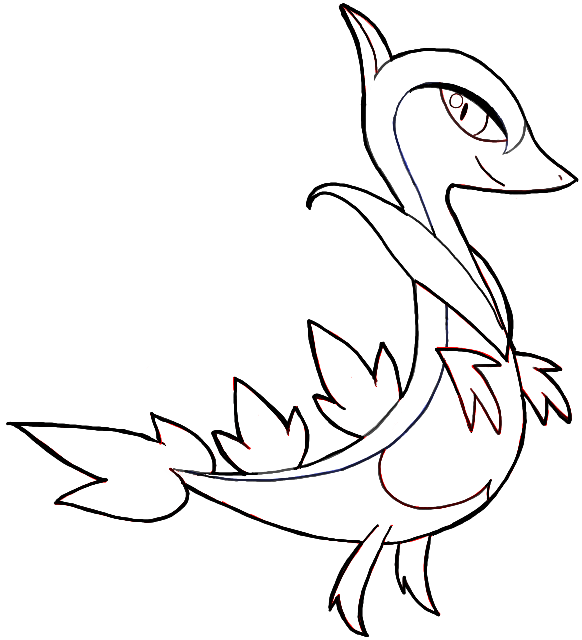 Learn how to draw Servine from Pokemon with this easy-to-follow, step by step drawing lesson. 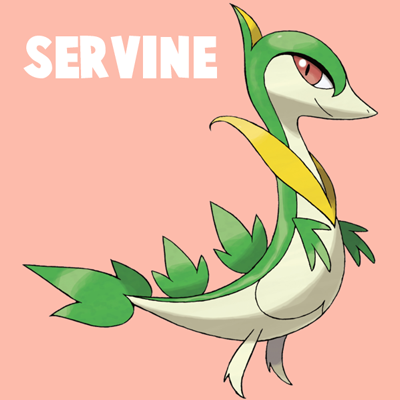 Servine evolves from Snivy and later evolves into Serperior. He sort of looks like a lizard and he isn’t too hard to draw. Learn how to draw him below. – Draw two letter ‘S’-like shapes to form a bubble-letter ‘S’ shape. 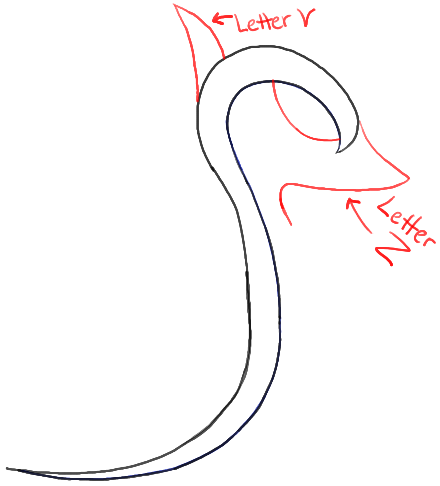 – Draw a letter ‘Z’-like shape for the snout. – Draw a curved line for the bottom of his eye. – Draw a letter ‘V’ shape on top of his head. – Draw a flattened oval for the pupil of the eye. Draw an oval for the highlight in the eye. – Draw the mouth and nostril. 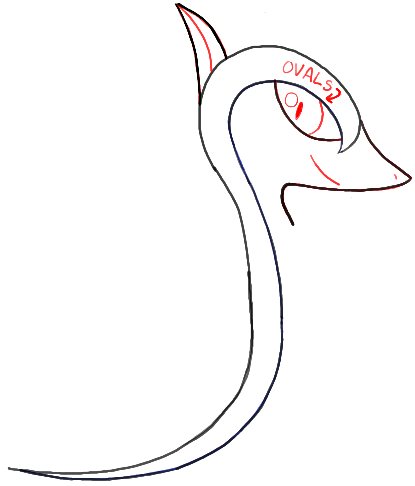 – Draw a curved line in the letter ‘v’ shape on top of the head. 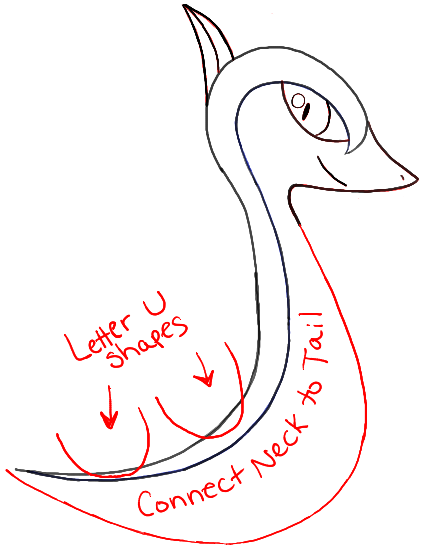 – Draw a curved line connecting the neck to the tail. – Draw 2 letter ‘U’ shapes on his back. 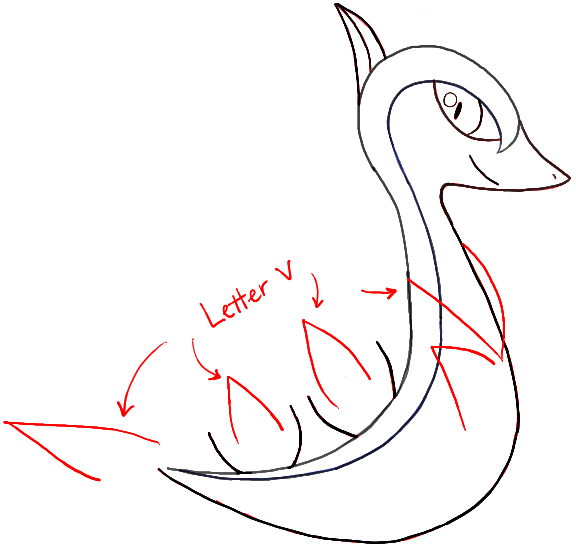 – Draw a few letter ‘V’-like shapes all over the body. 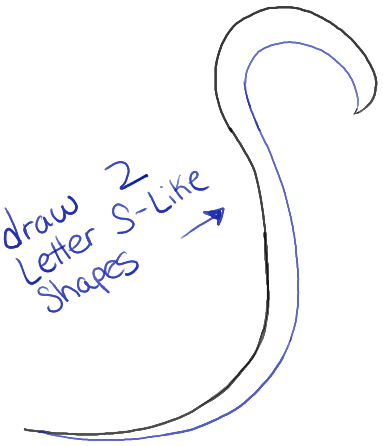 – Draw a #3-like shape on his tail. 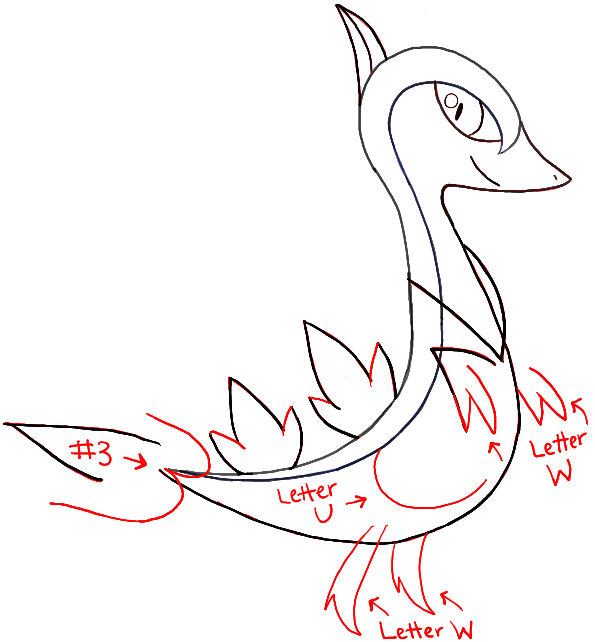 – Draw a few letter ‘W’ shapes … for the feet and on his chest. – Draw a sideways letter ‘U’ shape on his belly. – Finish up the back “leaf” shapes. – Add a few more details . 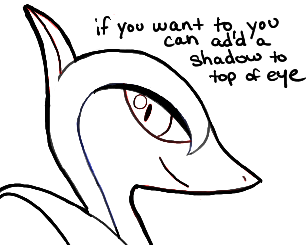 – If you want to, you can add a shadow to the top of the eye…to do this just thicken the already existing line. – And there you have it, a black and white drawing of Servine. You can color him in if you want to. 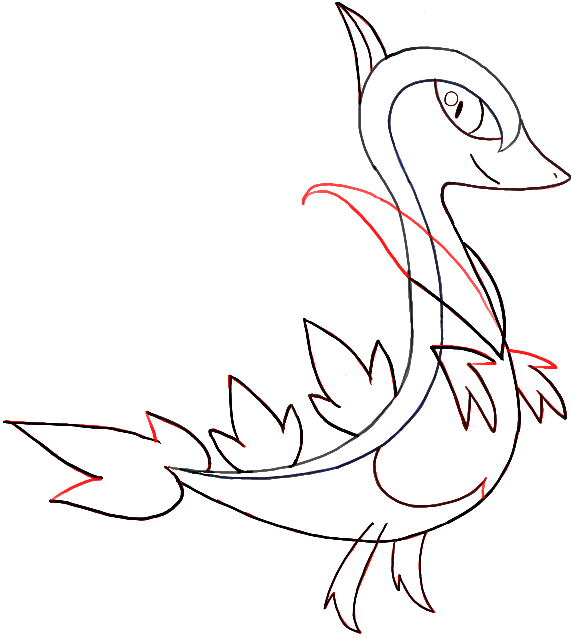 Come back soon for more Pokemon tutorials as well as other drawing lessons. This article was written on 08 Sep 2014, and is filled under Pokemon.